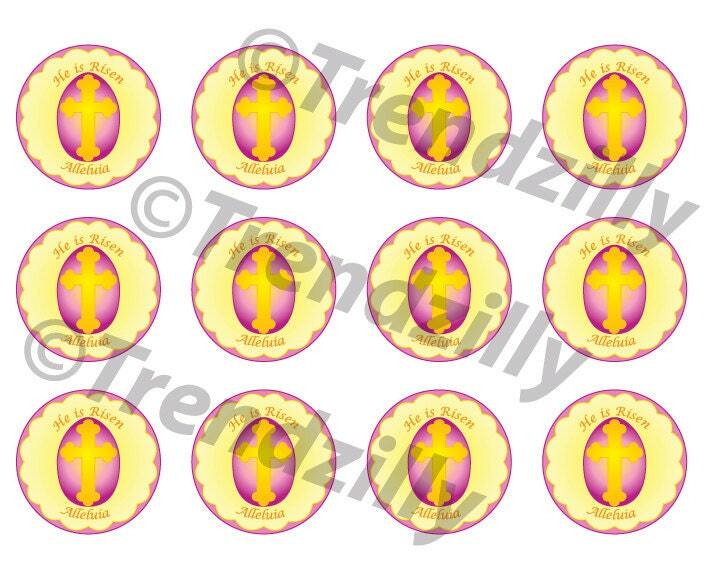 Easter Cupcake Toppers, He is Risen Easter Cupcake Toppers, Happy Easter Cupake Topper, Alleluia Toppers, Easter Printable Instant download. 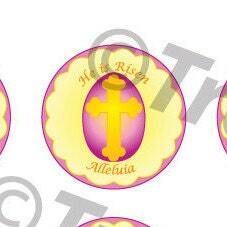 He is Risen Easter Cupcake Topper printable. 12- 2" round toppers per page. ~ Cupcake Toppers can be printed on plain paper or card stock, cut out, taped to a stick and placed on top of cupcake to dress it up.